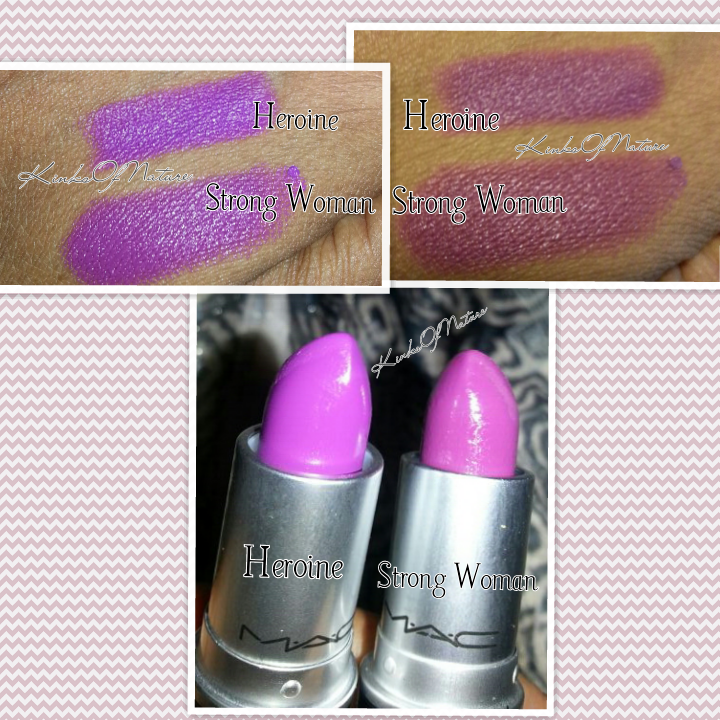 There isn't much of a difference between Heroine and Strong Woman when swatched. 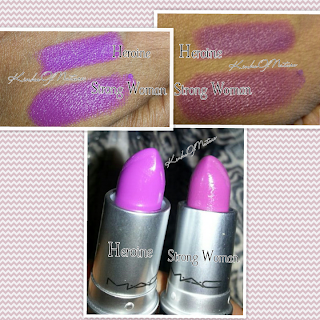 On my lips and in photos, Heroine appears more purple, and Strong Woman more pink. Heroine also has more staying power than Strong Woman. Good thing I like purples or otherwise, I wouldn't be too pleased with having purchased both.